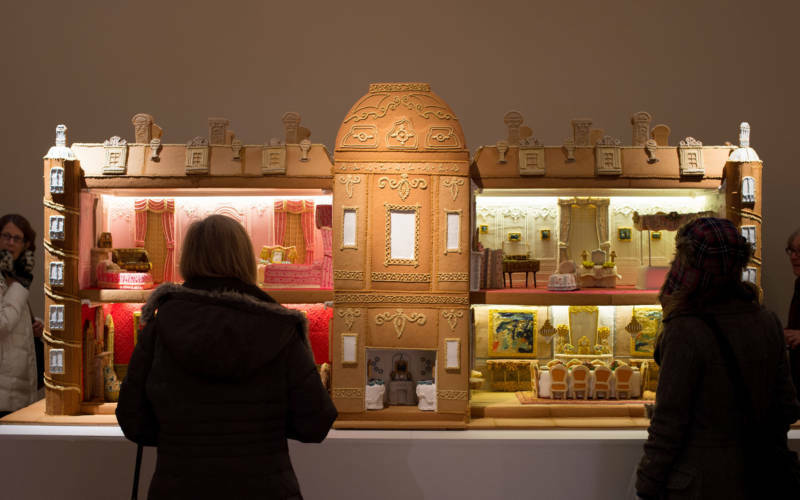 See Waddesdon as never before, recreated in gingerbread by Biscuiteers, the hand-iced biscuit company. Free with your grounds ticket, no need to book. 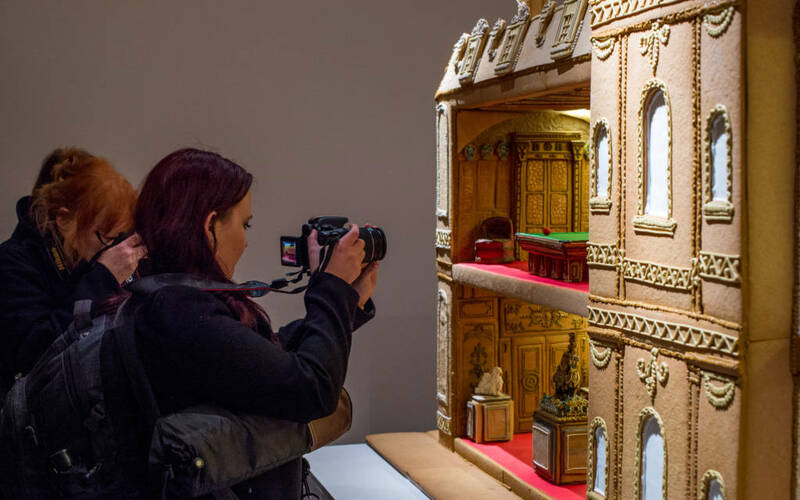 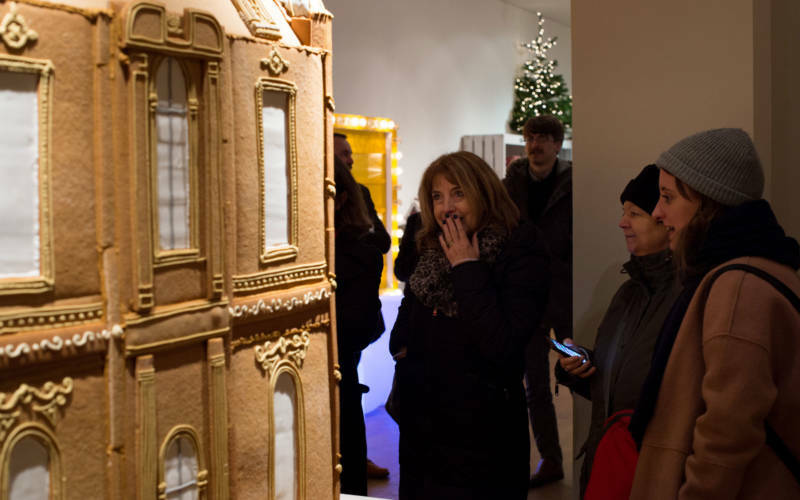 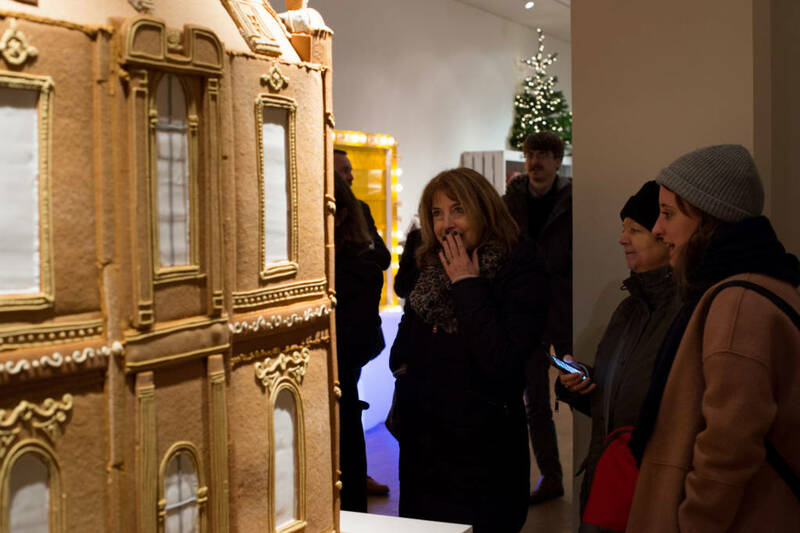 See a two-metre long model of Waddesdon Manor made entirely of gingerbread on display in the Coach House gallery. 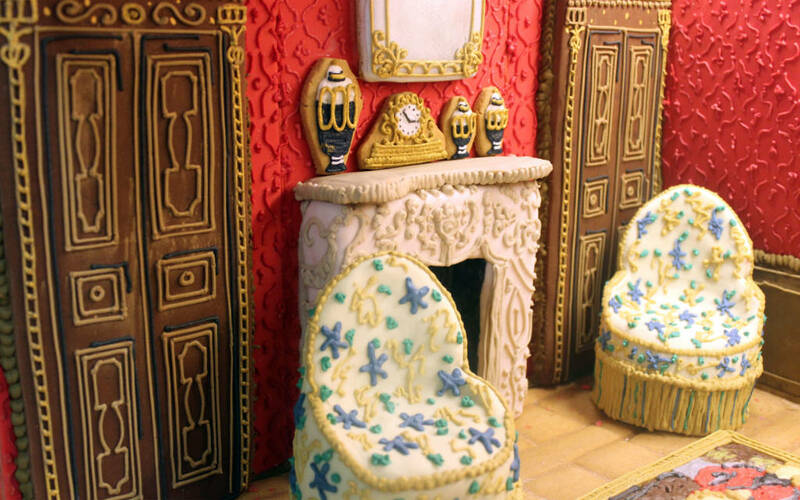 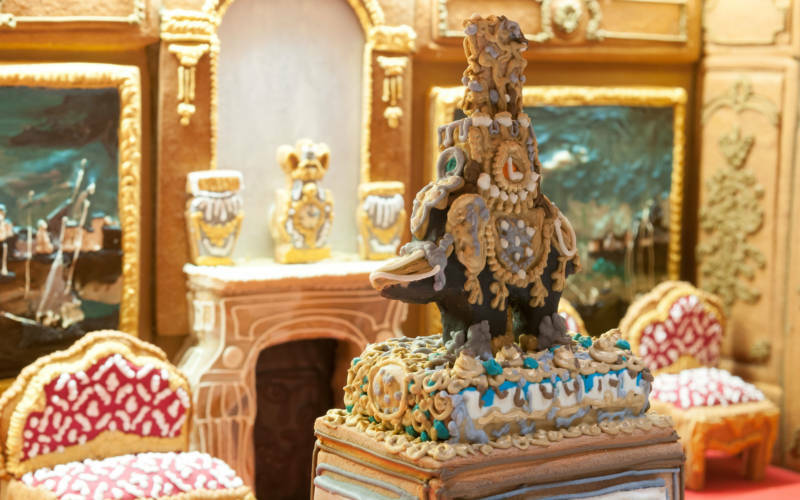 The celebrated hand-iced biscuit company Biscuiteers, have created detailed replicas of Waddesdon’s famous rooms including paintings, furniture, porcelain and textiles. 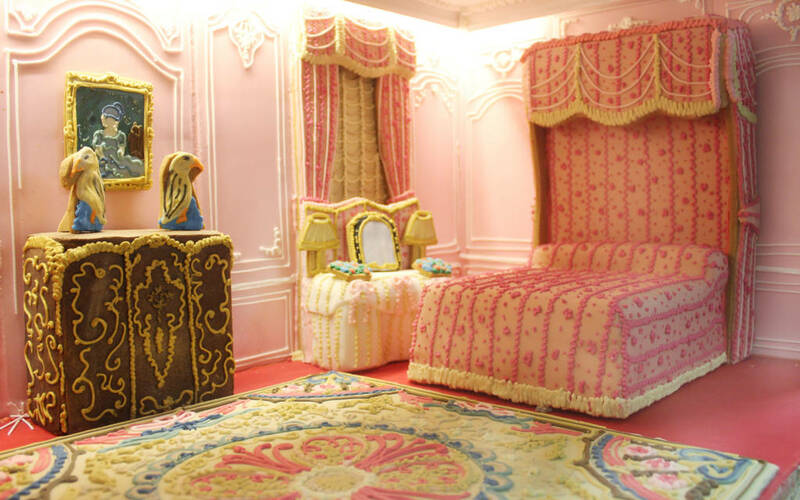 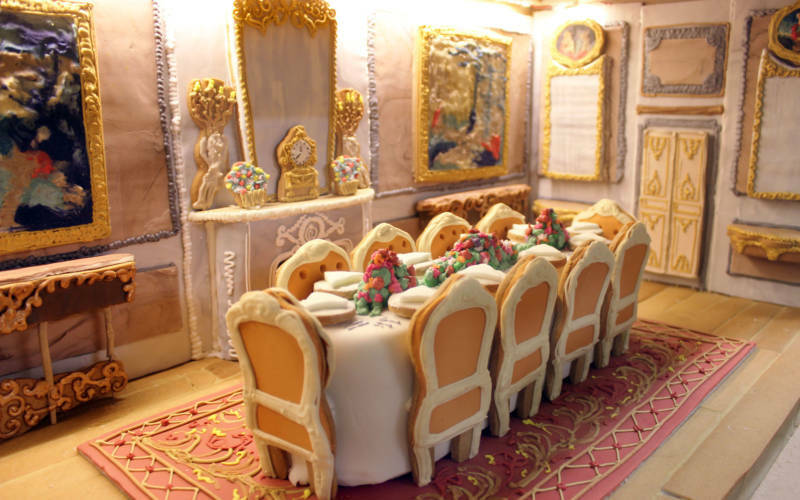 Using more than 30kg of butter and sugar, 240 eggs and 216 kg of icing, it took 500 hours to make! 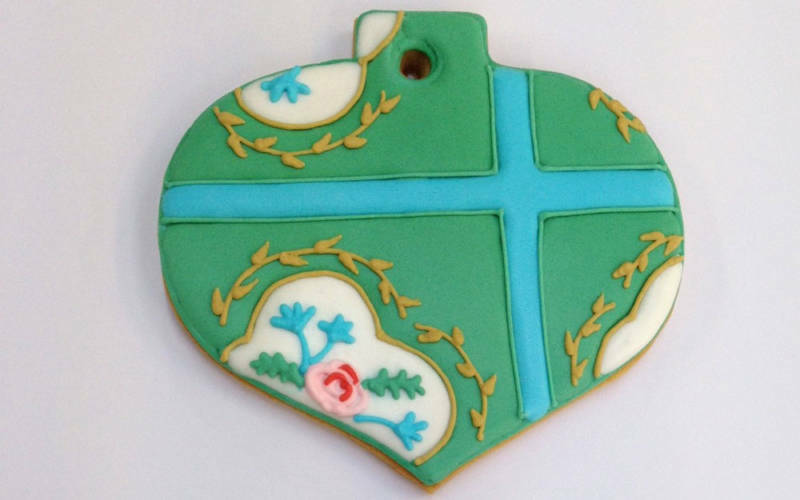 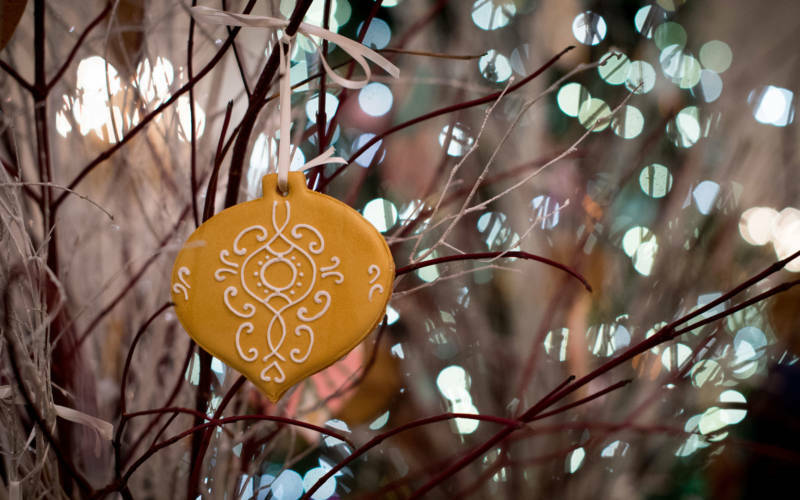 Also look out for a biscuit-baubled tree on your visit to the house and recreate it at home with hand-iced Waddesdon bauble biscuits on sale in the Manor shop.